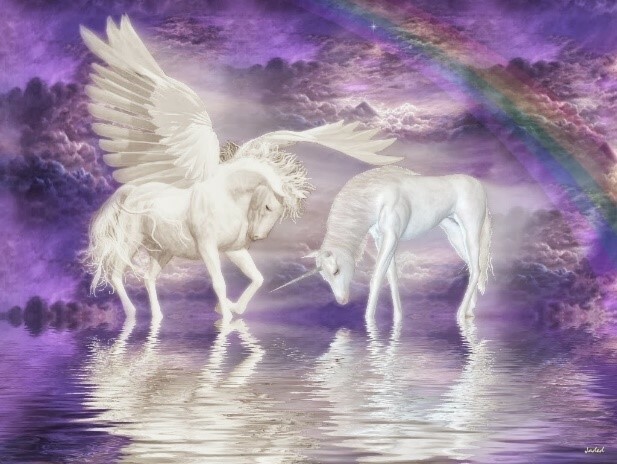 Let’s do a thought experiment together: Let’s take a middle aged woman and for one year everyone she encountered told her that they saw a unicorn that day. Her dad would slip in a casual, “did you see what that unicorn did?”, in conversation. Even kids would ask their parents, “mommy, did you see that unicorn at the zoo?” (At the exact moment this person is walking by; at the exact right sound level for her to overhear). My guess is that the year would start with this person wondering why the hell is everyone saying they saw a unicorn? Is that a euphemism for something else? Then, after a month, doubt would start to creep in. Unicorns are fake right? She might google “unicorn” to make sure (according to the first hit, Wikipedia, “The unicorn is a legendary creature that has been described since antiquity as a beast with a single large, pointed, spiraling horn projecting from its forehead.”) Ok, why did it say ‘legendary’ and not ‘mythological’? Does legendary mean it never existed?After six months, she would seriously question her previously held belief that unicorns never existed. Maybe a trip to the local library to research unicorns takes place. Instead of just brushing off her dad, and ignoring his ‘unicorn comment’, she might ask him about it. At the year mark, my bet is that a significant percentage of these (hypothetical) subjects would in fact believe in unicorns. Even if one out of 1000 were converted into unicorn believers (or ‘unicorners’ as we in the know say) then the hypothesis of the experiment is proven. I used a middle aged person to emphasize the fact that they previously held solid beliefs that unicorns were mythological (and legendary). However, through external forces, this belief was put into question. But it is not until these external forces are internalized that doubt starts to creep in. Finally, it is not until internalization is complete that this person begins to believe in unicorns. The point of this experiment is not to highlight the gullibility of some of these subjects, but to portray the power of human thought. We have all heard of the cliché power of thought (from Socrates to pop culture in movies like Inception), but this experiment proves the limitless power that it truly has. A creature that we all know does not exist, through thought and persuasion, reversed a strongly held belief. Thus, we can convince ourselves that bad luck only happens to us, or we can harness the power that made our subject think that unicorns are real, and believe in our abilities. If a person is faced with any situation or obstacle, there are countless ways they can react to it. Use the power of your thought to react in a beneficial way. In this age of superheroes, little did we know that we each had a superpower within us. Maybe unicorns are real.